"T-72?" was the child's answer. 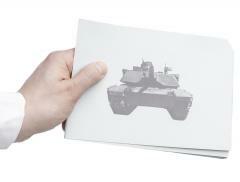 "NO, T-80! Dinner postponed for another 10 minutes!" responded the father, digging up a new card. 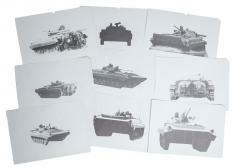 This Swiss army armoured vehicle identification card set is a leisurely way to spend the evening with the family. As a neutral country, Switzerland would be in trouble if the Cold War suddenly turned hot. That's why it's important to know what are you up against. 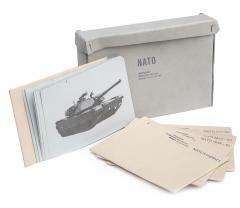 For this the Swiss developed an identification card set for both of the possible enemies' armoured vehicles: NATO and Warsaw Pact. Nowadays the vehicle models are outdated except in various African countries, Finland and some other banana republics, so the Swiss decided to release the card sets for the world to enjoy. 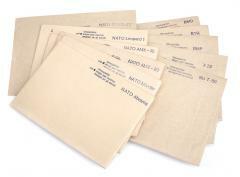 There are about five envelops in each set, each envelope contains a handful of ID cards for a certain vehicle from various angles. There might be WP and NATO vehicles mixed up in the sets, or they might be one or the other entirely, maybe even have two envelopes of the same vehicle. We really don't know and won't pick either. Genuine Swiss surplus. Sometimes used, sometimes not.